Where Does The Switch Fit In A Mobile-Dominated Market? The future of the Switch piques both curiosity and concern. We're just a couple days away from the official launch of the Nintendo Switch, and the internet is abuzz with anticipation. Stories recounting all the various launch titles and fact sheets full of specifications keep the hype swirling through our minds, focusing our attention on the upcoming launch, the games, and the technology, and that level of excitement is precisely what Nintendo wants. For many of us, though, the hype train's blaring torches blind us to some very pertinent questions: Can the Switch follow through on its promises of unifying both mobile and home console gaming? Is it going to render our 3DS and Wii U systems obsolete? Most importantly, will it be able to stay true to its Nintendo roots while branching out into an already oversaturated mobile market? A Robust Handheld, Or A Portable Home Console? The very idea of the Switch is that it combines the best of portable and home gaming onto a single device, but in practice, that may not be the case. Nintendo has given developers the choice as to whether they want to support the system's apparently-optional TV and Tabletop Modes, which means that some games wont work with the Switch's home dock. Nintendo has confirmed that support for the Handheld Mode is mandatory, however, which means the Switch inherently leans toward the portable end of the spectrum. It might have all of the potential of a home console, but that doesn't necessarily mean players who prefer the comfort of their living rooms will be able to take full advantage of the device. With that said, the Switch certainly does more to bridge the gap between the living room and true on-the-go gaming than any of its competition. Sure, dedicated gamers might be able to come close to a Switch-like experience with a tablet and a bluetooth controller, but their efforts won't make for nearly as concise an experience as Nintendo has planned for their console, to say nothing of the lack of Nintendo's legendary first-party IP. And with support from the right developers, the Switch's Tabletop Mode in particular will be able to capture much of the fun of multiplayer gaming in basically any terrestrial location — a long shot from the capabilities of current mobile devices. At this point, it's pretty safe to say the Wii U will soon be resigned to the history books. It just didn't do well, for a number of reasons that aren't worth listing here, but the real killing blow to the Wii U came with the basic design of the Switch — it's the same sort of thing, but much better. Both consoles were meant to allow players to use a tablet-like device to take their games away from their living room televisions, but where the Wii U was complicated and maybe a little confusing, the Switch is sleek and straight to the point. The Switch is the Wii U, just in a more functional and focused package — which means there's really no reason for Nintendo to keep supporting the Wii U. As for the Nintendo 3DS, things are more complicated. In acknowledging that the Switch is to be considered more of a portable than a home console, the Switch will effectively be competing with the 3DS in the portable gaming market. 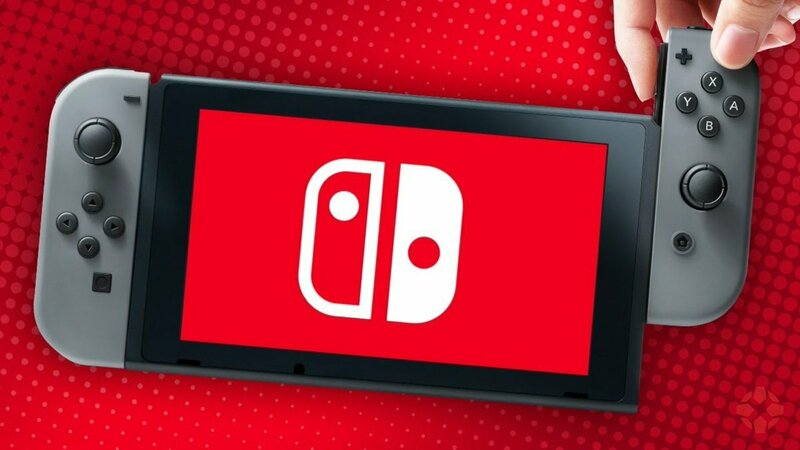 Moreover, Nintendo president Tatsumi Kimishima confirmed back in January that the Switch will not act as a replacement for the 3DS. It makes sense that the 3DS wouldn't support Switch games — the Switch is much more powerful, after all — but it's fair to say that some people will eventually begin to wonder why they can't play a simple 3DS game on the Switch. What Nintendo will have to say when that line of questioning is brought up remains to be seen. Nintendo has long reigned as king of portable consoles. Great handhelds like the PSP have come and gone, but not a single device has done portable gaming quite as well as the DS or even the original Game Boy. With that said, the mobile gaming market is quickly evolving, largely because most people in developed countries have surprisingly capable gaming systems in their pockets and purses. Still, for all their value, mobile phones just don't provide the same sort of quality experience players can get from the 3DS or the PS Vita, so it's really no stretch of the imagination to consider what would happen if a portable device could deliver on that level. Unfortunately, that line of thinking comes with a huge caveat: there's no doubt that most Android and iOS developers will want their games on the Nintendo Switch, and while the console's library will rapidly expand, so will its catalogue of garbage software. Likewise, Nintendo's foray into free-to-play iOS and Android games like Super Mario Run and Fire Emblem Heroes will leave many wondering if they're better served playing a Nintendo game on their phone as opposed to dropping $300 or even $500 on a more robust console that technically plays the same sort of games. No one knows Nintendo better than Nintendo, and for now no one is questioning the company's intended direction. The very notion that we have so many questions about Nintendo's plans as well as our future with their products speaks volumes, both in regard to the company's intentions and the imagined potential we see their devices having in our everyday lives. Like with the Wii U, only time can reflect the true measure of the Switch's success, but for now, our eagerness to accept the console and to see it succeed certainly makes for glad tidings.